For users who are moving from the chrome extension to the new desktop application, you will need to disable or uninstall the chrome extension as both the extension and the desktop application can not run in tandem. In the Chrome bar you will see the Scatter extension. 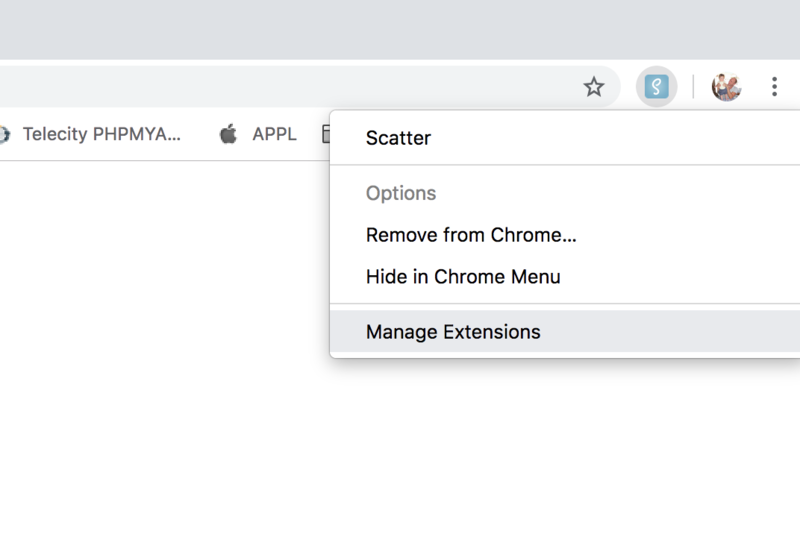 Select it with your second mouse button and choose "Manage Extensions"
Here you will see a toggle at the top of the Scatter extension's settings. Turn this toggle to "Off"
If you find that an application you use requires the extension because they have not updated their backend, you can reverse this process and turn the extension back on. 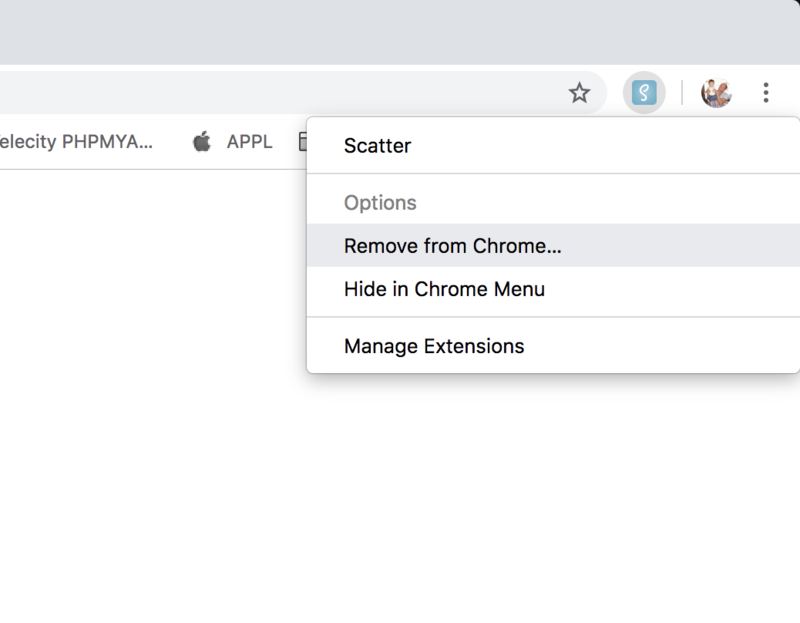 If you do not need the Chrome extension anymore, you can delete it by simply second clicking on the icon and selecting "Remove from Chrome..."